Olive trees are one of the hallmarks of the Mediterranean Basin, and are an inseparable part of the history of the human civilizations that developed in the region. Remains of olive trees are common at ancient sites, and have been extensively used in archeological research for dating sites and ancient findings. One olive tree branch, the focus of one of the most important questions in archeology, recently led scientists from the Weizmann Institute of Science to test the reliability of olive tree remains as ancient "clocks" in a new study, whose results may have significant implications. A volcanic eruption on Santorini, an island in the Aegean Sea, in the middle of the second millennium B.C. was one of the most devastating volcanic events since the invention of script. It was also one of the most significant events of ancient times, affecting the fate of civilizations from the Mediterranean Basin to China. This eruption, therefore, had a key role in chronologically linking the different civilizations that existed in those times. 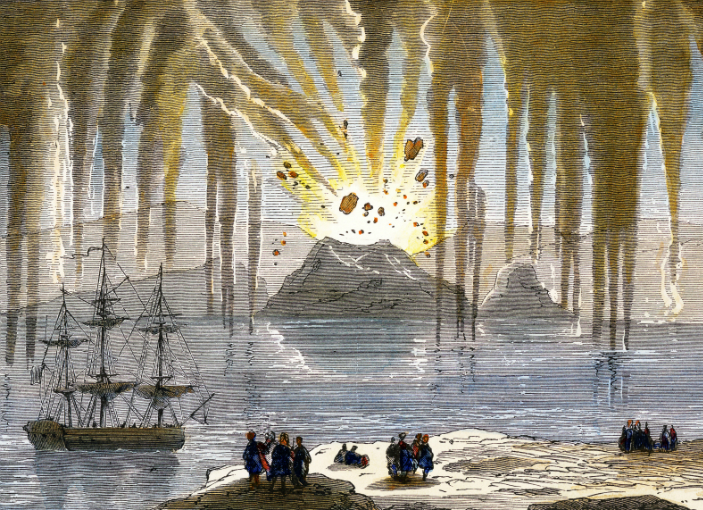 Despite ample physical evidence left by the eruption in Santorini, and the numerous archeological and historic remains attributed to the event, the exact year in which it took place is still debated. Dating based on correlating archeological findings from different civilizations in the East Mediterranean indicates that it occurred around 1500 B.C., while radiocarbon dating, using the content of the isotope carbon 14 in organic materials that were buried in the volcanic ashes, leads to the conclusion that the eruption took place prior to 1600 B.C. The key finding, upon which the eruption’s radiocarbon dating is based, is an ashy olive tree branch found during excavations in Santorini. The widely accepted assumption is that the outermost tree ring represents the last year of its life. Therefore, applying radiocarbon dating to the outermost ring of the branch would reveal the year in which it was severed, which is most likely close to the time of the eruption. To find out if the outermost growth ring in olive trees does, in fact, represent their last year of growth, and if olive trees are a good model for radiocarbon dating in general, the research team, led by Prof. Elisabetta Boaretto and graduate student Yael Ehrlich, took two modern olive tree trunk slices from northern Israel. They applied radiocarbon dating to a large number of different points on the outermost ring's circumference, and obtained some surprising results. From the first slice, which was most likely planted in the 1930s, they calculated a wide range of dates for the outermost ring. Only a few of them indicated the actual severing year, while the rest indicated a much earlier date, as far back as the 1970s. The other severed tree demonstrated a similar phenomenon, with different sample points on its circumference yielding a range of dates, spanning 50 years. The olive tree has a number of unique properties that distinguish it from most other tree species. The activity of its cambium, the arboreal tissue from which the seasonal rings grow, is not uniform throughout the trunk's circumference and can be dormant in certain regions. This results in rings that seem uniform, yet actually each of their segments formed in a different year. In addition, the olive tree trunk is comprised of separate and independent transport systems, each of which connects a specific group of roots to a specific region within the crown. Damage to a group of roots will lead to the death of its crown branch, along with every segment of the trunk that connects them and the adjacent cambium tissue. The rest of the trunk's circumference will continue growing and forming new rings, while the damaged part will stop growing. The results of this study, which is in line with the unique growth properties of the olive tree, raise a significant question as to the reliability of the dating calculation based on the olive tree branch from Santorini. Furthermore, the results will impact the future of olive tree use for radiocarbon dating in archeological research. 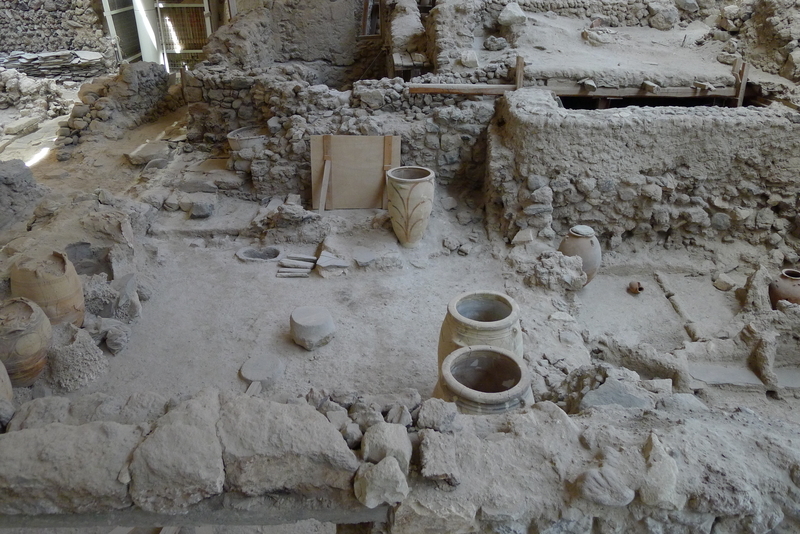 It is noteworthy that other organic remains found at the Santorini excavation, which did not come from olive trees, still indicate an eruption year that is a hundred years earlier than the one indicated by other archeological findings. So while the study does not directly affect the dating of the ancient eruption, it may stir a renewed discussion on finding the exact date, as well as on finding more reliable methods for revealing it.